Travel writing, it has been said, helped produce the rest of the world for a Western audience. Could the same be said more recently of postcolonial writing? In The Postcolonial Exotic, Graham Huggan examines some of the processes by which value is attributed to postcolonial works within their cultural field. 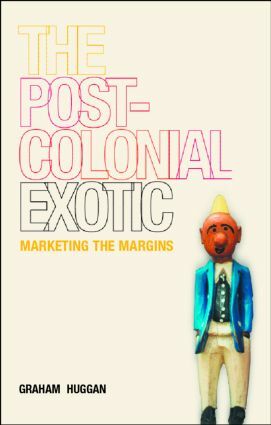 Using varied methods of analysis, Huggan discusses both the exoticist discourses that run through postcolonial studies, and the means by which postcolonial products are marketed and domesticated for Western consumption. *from Canadian multicultural anthologies to Australian 'tourist novels'. This timely and challenging volume points to the urgent need for a more carefully grounded understanding of the processes of production, dissemination and consumption that have surrounded the rapid development of the postcolonial field.